It’s no secret that video is taking over the internet – it accounts for 74% of online consumption in 2017. A video is able to positively activate people’s emotional responses in a very small window of time, and as such they’re a great way to drum up business and get your brand name out to your intended audience. 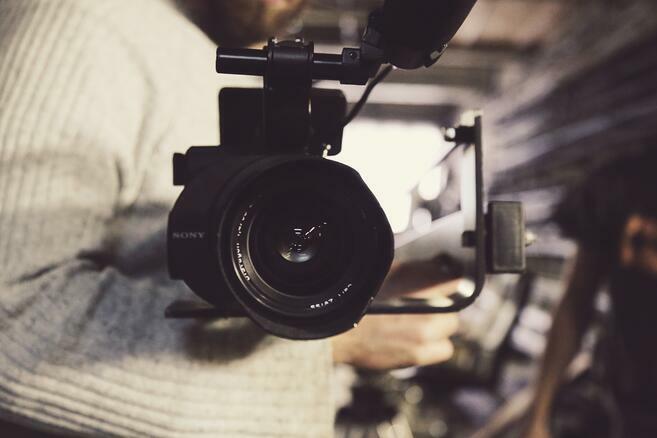 As it’s ever-growing, companies across the world are jumping on the bandwagon by creating video campaigns - and low and behold they’re wildly successful! Always approached this campaign with the idea of reaching out to their target audience by giving them a realistic view of women, as opposed to an unreachable idealistic view. A small group of individuals were asked to do certain things “like a girl”, which resulted in a lot of unflattering stereotypes being brought to light. This opened a dialogue about why “acting like a girl” is a bad thing. The campaign focused on increasing women’s confidence and dispelling negative generalisations, ending with 3 CTAs allowing people to join in on the conversation. All Eyes on the S4 was a fantastic campaign that drummed up a lot of interest and buzz around the phone, making people want to go out and buy it. The S4’s new software knows when a person is staring at it, and pauses videos when you’re not looking – a fun USP for the phone provider. Samsung set up a stand in the middle of a busy station and all you had to do was stare at the phone for one hour without looking away, to win the brand-new edition. They didn’t make it easy though – they staged fake arguments, barking dogs and “accidental” fires to try and distract people. The video has been viewed over 4m times and shows the unlucky contenders and the one lucky winner! This incredibly effective video campaign shows that you don’t need a lot of money to create a hard hitting video with a message that resonates. The video entailed two young children walking up to smoking adults and asking for a light. Every adult refused and lectured the children on the dangers of smoking like the affect it will have on their health and their looks. At this, the children handed each adult a letter and walked away. The letter said “You worry about me. But why not about yourself”, along with a number to a smoking helpline. Every adult that was filmed stubbed out their cigarette, and calls to the helpline increased. A simple message, a simple video, a profound effect. Reebok focused their campaign around how many days the average person lives for – 25,915 to be exact. The video shows how you can still be physical no matter what your age, as it starts with an older woman doing a tough mudder competition, and regresses back to show her being active at all stages of her life. Reebok aims to inspire people of all ages, and ends with a CTA allowing people to calculate their days in a hope to light a fire under them and drive up sales. Pretty smart marketing! Purina teamed up with Buzzfeed to create a really fun video of a man and a dog. Nothing too creative, but very effective. Once the man buys his dog, he immediately becomes a dog owner and has to deal with everything that entails, from prized possessions becoming chew toys, to being kept awake in the small hours of the morning. The video went out to Buzzfeed’s worldwide audience and although the Purina sponsorship is subtle, the audience are still made aware that the video is a bit of marketing fun from the company. Both Buzzfeed and Purina gained a great response from the video if the views and comments are anything to go by. No matter your budget or your message, a video is a great and effective way to speak to your target audience. Find out more about our video marketing services here. Do you have a favourite video campaign that trumps our top 5? Share it with us below, or if you think your company could do with a new campaign strategy, get in touch to find out how we can help.